Pink hibiscus mealybug (Maconellicoccus hirsutus Green) (Figure 1) invaded the Caribbean nation of Grenada in c. 1993, where it infested young shoots, flowers, and fruits of a wide range of plants, particularly those in the family Malvaceae. Among the important plants affected were ornamental hibiscus (Hibiscus rosa sinensis L.), soursop (Annona muricata L.), cotton (Gossypium hirsutum L.), cocoa (Theobroma cacao L.), and citrus (Citrus spp.). 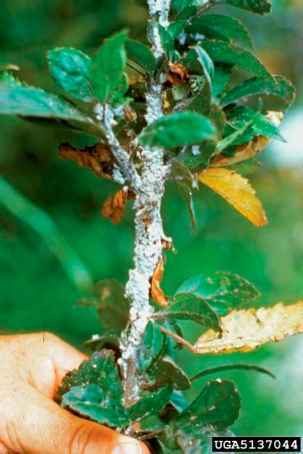 The mealybug reached high densities and began to spread rapidly to other islands and adjacent mainland areas. Mealybugs caused immediate losses to the tourist indus try by reducing beauty of ornamental plants around hotels. Losses also occurred in several major crops and inter island trade was affected through the quarantines (albeit ineffective ones) enacted to prevent spread to other islands. Grenada and the islands of Trinidad and Tobago suffered an estimated $US10-18 million in losses in the first year following the mealybug invasion. Figure 1 Pink hibiscus mealybug (Maconellicoccus hirsutus Green) invaded the Caribbean region in the 1990s and rapidly became an important pest on a wide range of woody plants. Photo Courtesy of Dale Meyerdirk, USDA; Forestryimages.org. In contrast, Puerto Rico, where effective parasitoids were rapidly introduced almost immediately after an invasive population was discovered, suffered almost no economic losses. Control of this pest was greatly facilitated by previous successful control of the same species in Egypt in the 1920s, where it had invaded, presumably from India. Several predatory coccinellids, including the mealybug destroyer, Cryptolaemus montrouzieri Mulsant, and the encyrtid parasitoid Anagyrus kamali Moursi, were intro duced into Egypt. In the Caribbean, both C. montrouzieri and A. kamali were also introduced, as well as another encyrtid parasitoid, Gyranusoidea indica Shafee, Alam, and Agarwal. The predatory coccinellid had little or no effect, even though C. montrouzieri did establish. 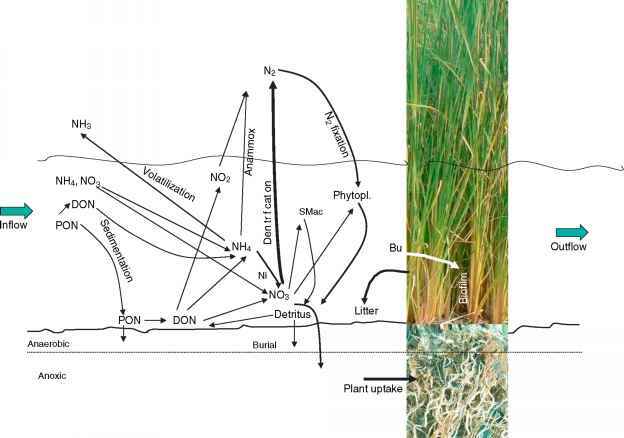 Costly releases of C. montrouzieri were somewhat useful as a stop gap measure to reduce extremely high populations on limited areas of high value plants but could not provide control over wide areas. In contrast, region wide control was rapid and complete following the release of several parasitoids, mainly A. kamali. To gauge the specificity of A. kamali, nine species of mealybugs were assessed. Of the species tested, A. kamali parasitized only two nontarget species, but development in these species was not successful. This parasitoid was, therefore, judged to be relatively specific and beneficial. In contrast, C. montrouzieri, which was also introduced to Grenada (but not to most other locations invaded later), is a known generalist predator. This project provided rapid, permanent, and com plete control of an invasive economic pest in many Caribbean nations and the United States. Because the pest had been controlled previously in Egypt, the natural enemy likely to be effective was already known. Because the introduced parasitoid was specific to mealybugs, it was safe to nontarget insects in other groups and host range tests showed it unlikely even to affect other mealybugs.